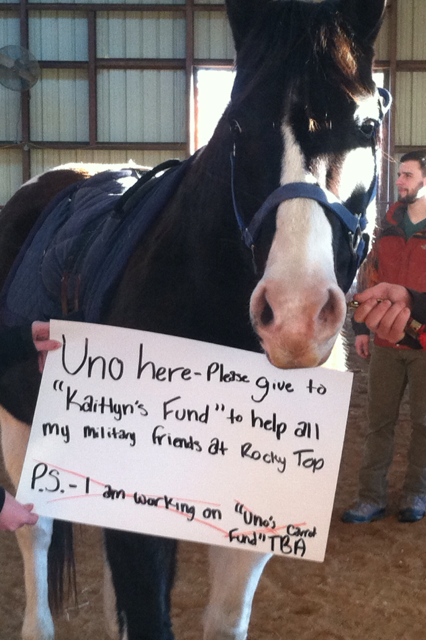 Uno was donated to Rocky Top and is Kaitlyn’s favorite horse. He is a 14 hand paint gelding. He loves to play in the pond and get muddy so he has to get all cleaned up. Uno is one of our top therapy horses, he has wonderful movement for our physical therapy program and a great smooth gait for teaching the trot to our therapeutic riders. His sweet personality and pretty black and white color make him a favorite at the barn and at the shows!